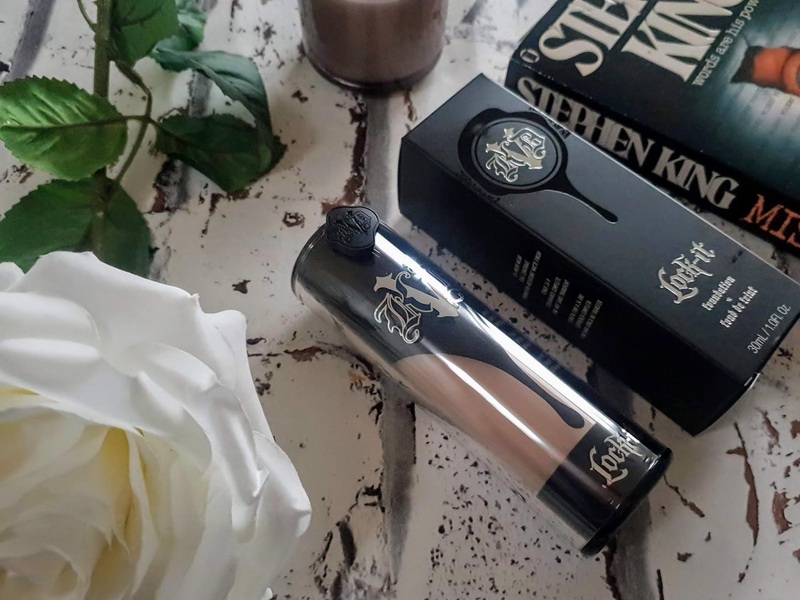 I have been meaning to write this post for a couple of months now but since its one of my everyday foundations, I thought it was ok to delay it since its something that's is used so often. 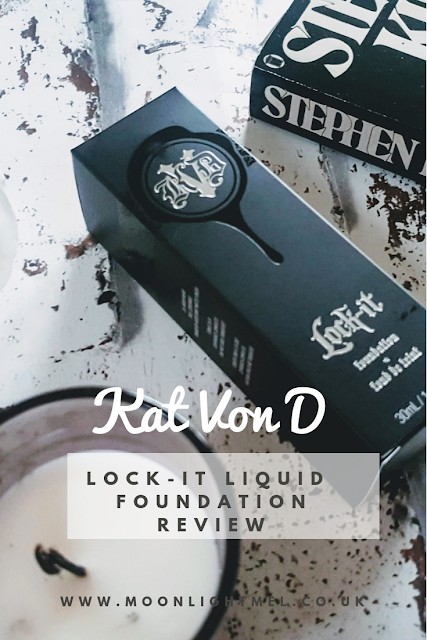 The Kat Von D Lock-It Foundation has been a firm favourite of mine for over 2 years now and I have been through a few bottles of it now. It has served me well as an everyday foundation and also at big events such as weddings and parties, it sure has never let me down, even if I am on the dancefloor for hours on end in the summer LOL. The lock-it foundation is a full coverage that has a matte finish. The range is pretty impressive as they have 44 shades to choose from for a range of skin tones and undertones. It is also transfer proof, waterproof and buildable depending on the finish you want. The packaging is just gorgeous! 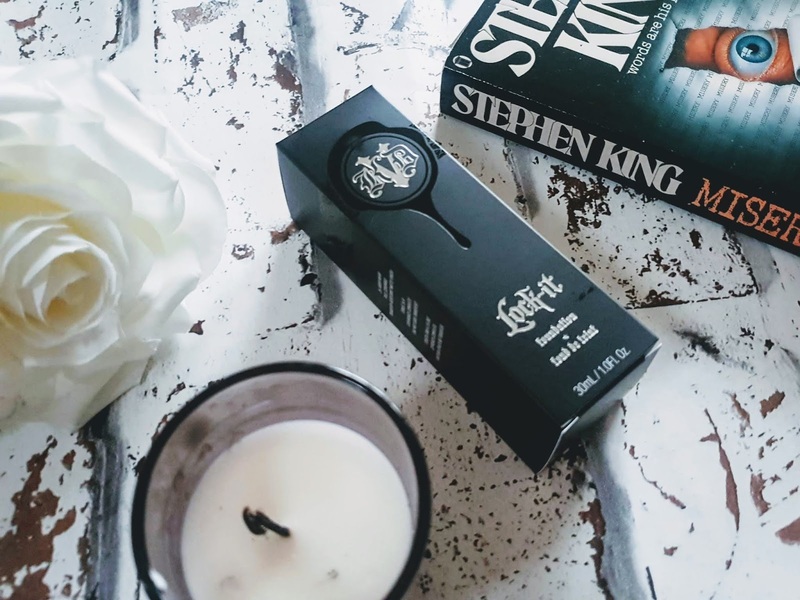 The box looks very gothic/chic as does the foundation bottle. The foundation pump is covered with a cap that looks like a letters family wax seal which I just love. It is made out of plastic but you can tell its nicely made and it feels strong and durable. For me, 2 pumps on the back of my hand are enough foundation to cover my entire face. I am not going to lie, this foundation is pretty thick so getting the right foundation sponge/brush is crucial to applying this foundation as it should. I honestly think it's best using a thick big bristled foundation brush or using a beauty sponge such as a beauty blender, a lot of foundation brushes just move this foundation around, so that's why I thought it was important to mention this. I got my foundation at my local Debenhams and I would suggest anyone wanting to get this foundation to try pop down their before purchasing so you get get the right one for you. My skin tone is light and has a lot of red marks just below my eyes and also on my cheeks. I got this shade as it matched my skin tone and it also neutralised the reddish in my cheeks which I am happy about. It sure does as it says on the tin this foundation. It is a little bit on the expensive side at £28 but since it does what I want it too I am not going to complain too much about that. I love that the foundation is buildable; all you need to do is apply 1 drop for a medium finish and 2 drops for a more fuller finish, how easy is that? As I said about my skin has red marks on it from rosacea and this foundation has no problems covering it and making it match the rest of my the foundation on my face. It does say its full coverage but it sure doesn't feel heavy or cakey, for me, it feels lightweight on my skin and very easy to wear without worrying about it transferring. I have to say I am super impressed with how long lasting this foundation is too! It has no problems staying in place all day with a primer and makeup setting spray, the foundation looking fresh all day. 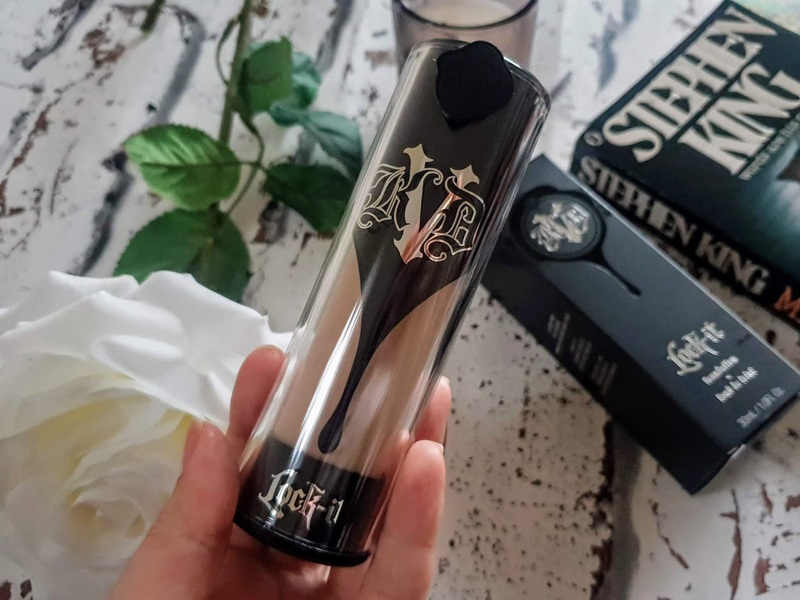 Have you tried anything for Kat Von D beauty before? This is actually the first time I have read (or heard) about the brand. I guess because I don't wear make up that often. I will share this post with my daughter and my niece. They love make up and I am sure one of them has tried this brand. Thanks for the review! Wow. The packaging looks really nice. Another must have for the ladies out there. 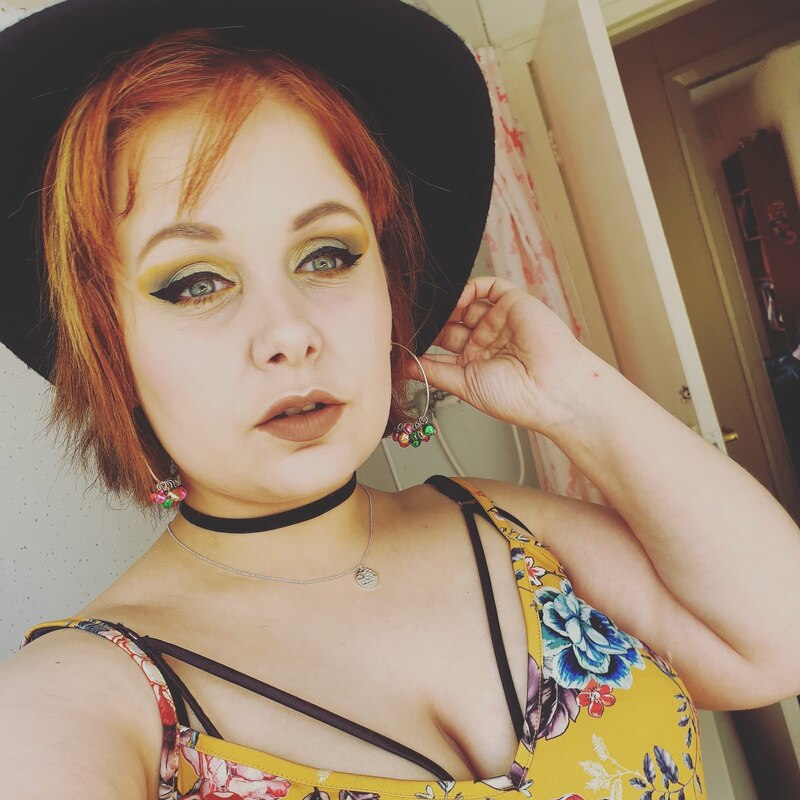 Kat Von D beauty is wort it brand, I have used the lock it foundation and absolutely love it. Just in time! My foundation is about to run out and I am looking for a new brand to try. I will give this Kat Von D Lock It Foundation a try. Thank you for the review! I don't know too much about her products but I am aware f her. I wasn't aware they had a liquid foundation. I will have to show this to my daughter. I am sure she would be interested. Seeing as my wife has been considering branching out into some new cosmetics I will make sure she sees your post. It looks good! I would also like to try one.